The Volkswagen Beetle Convertible is one of the most recognizable open-top vehicles ever built, with the type 15 Convertible debuting in 1949. More than 500,000 examples have been built between its release and the current car, which went on sale in 2012 as a 2013 model. Each iteration has reinforced the Beetle's iconic design and inspired a whole new generation of buyers. 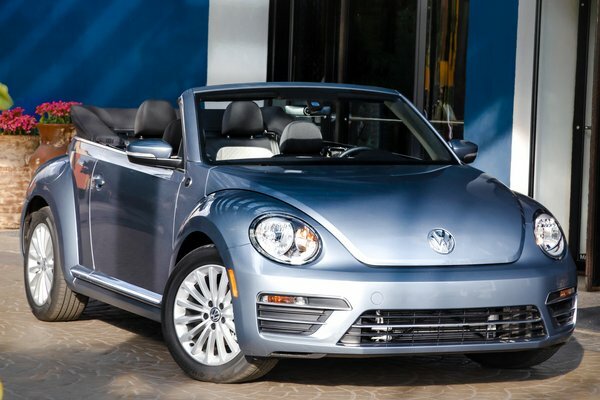 New for 2019 The 2019 Beetle Convertible is offered with an automatic transmission with...Read.